Over the past couple of weeks, globally known gambler and poker player Phil Ivey came out on the losing end of two prominent court decisions, one each on both sides of the Atlantic Ocean, regarding the use of an “edge sorting” scheme at high-stakes mini-baccarat. 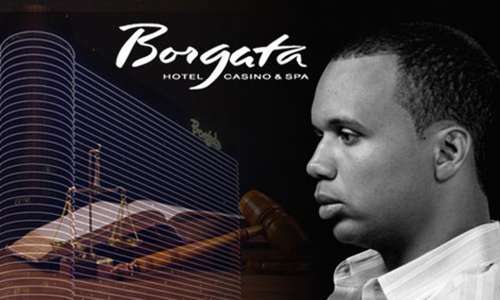 Ivey’s combined losses in the two court cases — one where he sued London’s Crockfords Casino, and the other where New Jersey’s Borgata Hotel Casino & Spa sued him — come to just shy of $20 million, as opposed to where Ivey’s bankroll might be if both decisions had gone his way. While both cases are still open to further appeal, none of the rulings have gone Ivey’s way. Both cases’ judgments, in fact, have come to a similar core decision: The scheme orchestrated by Ivey and his gambling partner, Cheung Yin Sin, were deemed improper because they changed the core odds of the mini-baccarat game itself. In the process, both courts have found that the way in which Ivey manipulated the game’s internal odds in his favor were equivalent to changing the game so that it was no longer mini-baccarat (or punto banco, as it’s classically called). But beneath that common veneer, there’s at least one significant difference in the two latest decisions. The New Jersey decision, authored by US District Judge Noel J. Hillman, has been viewed with some concern by card-counting blackjack players. The UK decision, in the Crockfords case? Not so much. Earlier, Hillman wrote, “Allowing a player to unilaterally adjust the odds of a casino game in his favor would violate the essential purpose of legalized gambling. Indeed, since the inception of legalized gambling, the Casino Control Commission has implemented numerous countermeasures to prevent threats to the statistical advantage that casinos need to remain profitable. But then there’s this from Hillman, in a footnote: “Ivey and Sun argue that the edge sorting technique is just like card counting, which has not been held to be a violation of the CCA or any casino games. A card counter is  a highly skilled player who analyzes the statistical probabilities associated with blackjack and, based upon those probabilities, develops playing strategies which may afford him an advantage over the casino. [case citation]. The difference between card counting and edge sorting is that a card counter uses memory and statistics, not a manipulation of the cards, to create an advantage for himself. The two excerpts clearly contradict each other. Hillman tries to carve a what amounts to a special exemption for card counting while coming down on the side of the casino in this case. Not stated, and quite obvious by its omission: Card counters take advantage of shifted odds as well. Also not stated: card counters and Ivey both took advantage of the same mathematical truism throughout the execution of their schemes, and the odds in both games, either Ivey’s mini-baccarat or card counters’ blackjack, change on a hand-by-hand basis. Judge Hillman’s logic, therefore is suspect. It doesn’t mean that the Borgata shouldn’t have prevailed in this case, but how Hillman got to his final opinion might just offer grounds for appeal. That’s an adjudged difference between edge sorting and card counting that is missing entirely from the New Jersey decision. It’s also, in this writer’s opinion, a much more legally defensible stance. Mathematically, some small variation of odds is expected to occur from hand to hand within an ongoing shoe of play, in punto banco as in blackjack, but the structure of punto banco prevents would-be card counters from gaining a probabilistic edge. But that clarification begs the larger point. Both Arden and Tomlinson opined that card counting is legal in part because blackjack incorporates both luck and skill, and card counting is a strategic ploy. Punto banco (mini-baccarat), by its very rules, offers no such strategic element. There’s probably more news to come from this not quite matched pair of cases. 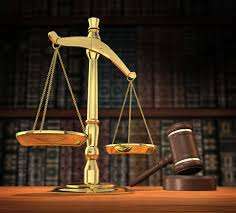 Though they have taken place in different jurisdictions and have no direct legal impact on one another, the information and arguments made in both cases have been at least partly interchangeable. Ivey, for his part, may choose to challenge one or both of the decisions — an initial appeal in the Borgata case or a secondary appeal in the Crockfords matter. Additional elements, particularly in the Borgata case, are also waiting to be resolved. The two cases have drawn considerable public scrutiny, and all signs are that that scrutiny will continue.